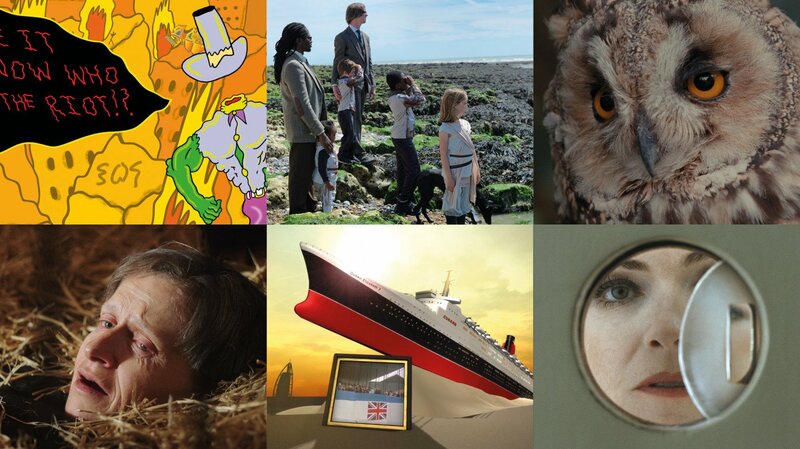 Collage of shortlisted films for The Jarman Awards 2018, courtesy of HOME, Manchester. Maggie Ellis, Head of Film at London’s Artists’ Moving Image Network, introduced the screening of The Jarman Award 2018, which had been created in memory of Derek Jarman by his long-time companion Keith Collins. Jarman was well known for his involvement in a breath of engagements; he was a gay rights activist, film designer, set designer and avid gardener. He had used moving image to explore these different interests from an early age, his earliest experimental shorts using 8mm, a form he never entirely abandoned. In the lead-up to the winner announcement on 27 November at The Barbican, The Jarman Award 2018 went on a curated tour, stopping at HOME Manchester as part of the gallery’s Manchester Artist Film Weekender. It was here that I watched the screening of six of the shortlisted films for the prize. Together they collectively invited the sensory into the medium of film with the ability to contravene the seemingly explicit boundaries of realism and fantasy. 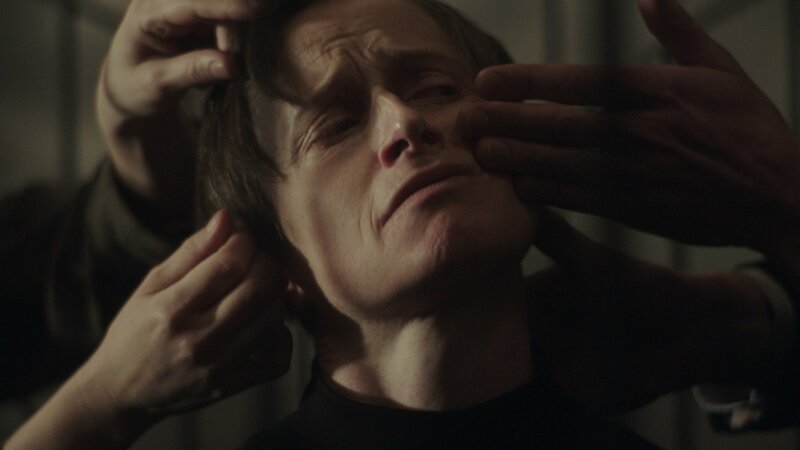 The winner was Daria Martin’s Short The Hunger Artist, a comparatively clean and well executed short, and an alluring parable of a mute and an emaciated artist. The film explores the questions surrounding the relationship between the artist to his art; his audience and the consequential relation of this within the commercial world. 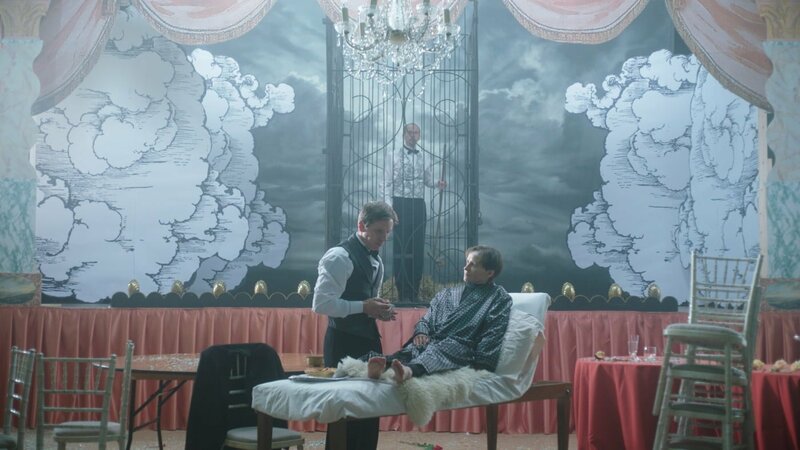 Martin’s HD film opens with the hunger artist lying on a bed of straw in an iron cage, his eyes narrowly fixed and looking outwardly to the well-fed audience who place their bid to feast on their macabre fascination of human emaciation. Winner Daria Martin’s film ‘A Hunger Artist’, 2017. © Daria Martin, courtesy Maureen Paley, London. The body of the hunger artist as both an object of gallant endurance and as a subject of suffering evoked Charlie Chaplin’s notorious 1936 film Modern Times. Chaplin’s comic character ‘Little Tramp’ struggles to survive in the new conditions created by the efficiencies of an industrialised world. These questions provoked by Martin’s film could also be compared to the technological advancements of art in the time of Instagram, the quick and instant tool for self-aggrandizing with its own favourable audience of ‘followers’, that encourages an adherence to trends. It was an thought-provoking piece with a enticing narrative, seamlessly telling its story through three progressive stages. The stand-out short, however, had to be Lawrence Lek’s CGI eerie film Geomancer, which explored the creative awakening of artificial intelligence while commenting on the longstanding tension between the human and the machine, and the anxieties we hold towards outsourcing humans through artificial intelligence one day. Questions provoked by human coexistence with machines, a common site of exploration across all six films, is perhaps a topic that modern film looks to grapple with in its medium. Larry Achiampong and David Blandy’s Finding Fanon, like Lek’s, uses gaming animation and CGI to create a digital world. The short film they showcased was one part of three which looks at the problems and pain caused by the politically and economically privileged on the less privileged, namely the colonised. Personal histories, pop culture and post-colonial theory blend together to examine how we navigate through the digital and physical worlds of the twenty-first century. As the film progresses, so too does the landscape as we become immersed in game animation with black and white families fighting demigods who profiteer from conflict. The film’s greatest success is in the prologue which runs over the visual, constantly questioning of the quest for authenticity in a radically interconnected and wholly ambiguous world. It asks if the virtual space is just another construct, and questions whether the settlers organised chaos. The film is a pilgrimage of mutual confusion, and questions are left perfectly unanswered. True to its brief, this collection of shorts brings into its medium the varied puzzles of our modern day. Styles range from the lurid hues of Hardeep Pandal’s Pool Party to Margaret Salmon’s Eglantine, an extract of the natural world shot on 35mm. It is a marvelling journey of shorts which collectively seek to breach apparent boundaries between thought and lived experience. They probe notions of geopolitical landscape, material bodies, and even grapple to envisage a world constructed in post-human consciousness. 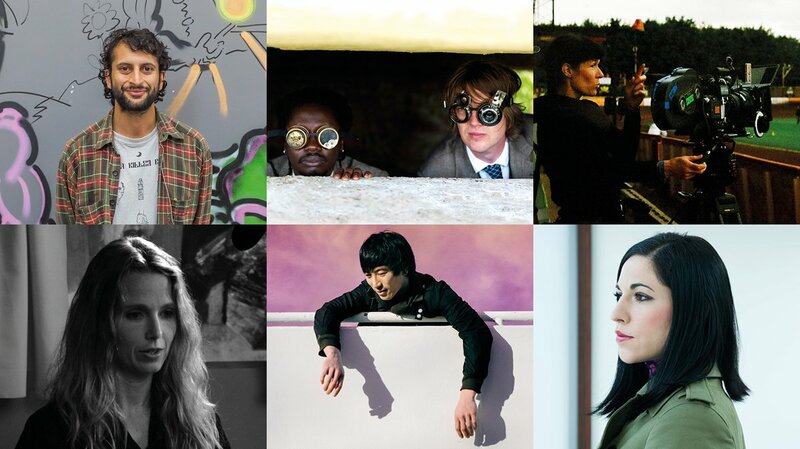 Together they showcase the future of film, with a boggling creativity that probes deeply into the gymnastics of the mind.